I recently spent 3 months in the US on a vacation. A large majority of that time was in the desert of New Mexico and Arizona, not quite a wine wilderness but darn close. On the way back we made a left turn and drove all the way to Paso Robles to visit some wineries and chill out in California wine country. Paso Robles has a different vibe than Napa Valley. A bit less Cabernet/Chardonnay and a bit more Syrah and Zinfandel. There is Cabernet there… just not the eye watering prices of Napa and the quality is outstanding. 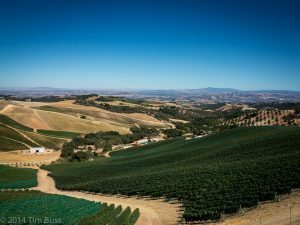 One producer I always look for is Daou Winery located on a mountaintop with breathtaking views for 75-100 miles in every direction this a winery committed to making dense age worthy reds . The Cabernets are stellar and the Syrah/Grenache/Mourvedre is a surprising treat. Pinot Noir from Santa Lucia Highlands and Chardonnay round out the offerings. There are also library wines and magnum offering available to mailing list members. Definitely worth your time to visit and deserving of a place in you cellar. Pretty highly regarded in the wine press as well. Not too subtle but can drink young or old. My next choice is Justin Vineyards. The property was planted in 1981 and the first commercial vintage was released in 1987, The Isosceles Cabernet patterned after quality Left Bank Bordeaux is the most notable wine they make but the other wines are up to the task. A visit here is worth the effort. A beautiful facility and all the tools to make great wine. 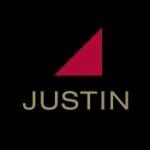 Wine maker Scott Shirley came to Justin after a career at Hess Collection and Opus One. So he know a bit about wine making. The winery completed an upgrade in 2013 and now has accommodation and a top notch hospitality program. What are you waiting for? Number 3 winery is Turley Cellars. In the category I call big stupid wines for big stupid guys. Ladies fill your boots as well. Massive Zinfandels from all over California , rich robust Petite Syrah and even a Cabernet more recently. My old employer in Vancouver was ( I think) the first export account for the winery. Early vintages of the PS from 1993 are still improving. Always a treat to share these wines the big challenge is storage . They have super annoying shaped bottles that don’t stack in bins well and necks that don’t allow neck tags on them. Make sure Ramona gives you lots individual bottle storage options if you want to age these beasts…. PS The Old Vine Charbono ain’t half bad either. first .